⬅ What Will He Do with $100? It's the trap that leads to regrets. Every story has a hero—an impact maker. Think about your personal story? As the hero or heroine of your story, what stands out the most? What moment, experience or achievement are you most proud of? Why? Was your proudest moment a highlight (maybe the highlight) or simply a milestone along your path. What is amazing to learn is that the stories of people late in life share a similar theme—regret. Do you imagine or dream of your life story being littered with regrets? No one does. No matter who we are we envision having an impact—crossing the finish line and seeing it as a sunset that radiates the vibrancy of our journey. A sunset that shines light and warmth on the people we love, the teams we led and the causes that stirred our heart. In the midst of life’s unexpected circumstances and changing seasons, it is easy to allow the inertia of life to blind us to the steady march of time and rob us of opportunities for impact. Great and lasting impact is not reserved for those who are placed on a grand and opulent stage. Impact results from intentionally directing the stewardship of your time, talent and resources towards touching and changing lives. Impact is about becoming the hero of your own race. “What will be lost if you don’t run the courageous race? Who will be left behind? Who will miss your intended and needed contribution? What victories will be framed as a regret. Think about these questions when you watch this video. 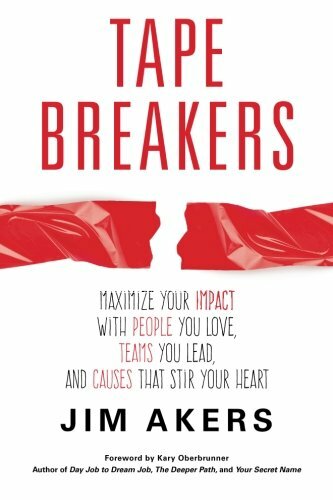 Regrets will litter the stories of everyone who fails to recognize that every day presents us with an opportunity to begin a new race—to pursue actions that positively impact the people you love, teams you lead and causes that stir your heart.